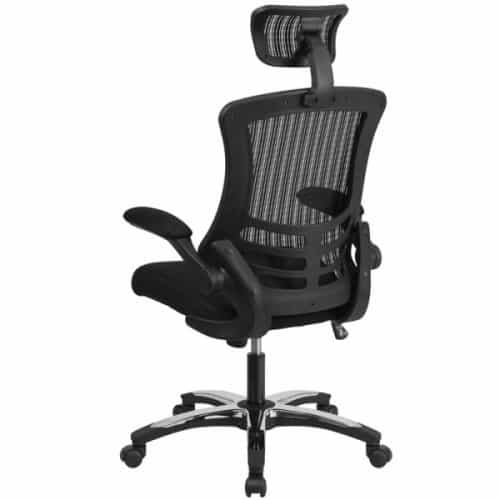 The Black Mesh High Back Office Chair with Headrestt and with a high back designer mesh is one of the leading alternatives to the more expensive Herman Miller Aeron. With the contoured back and free back mesh, the Allure allows ventilation for body heat which accumulates while sitting for long periods of time. 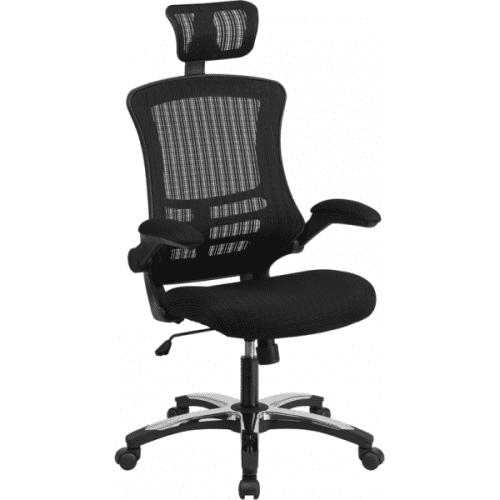 The Black Mesh High Back Office Chair with Headrest is made to wrap your back with ultimate comfort and support. The adjustable arms can raise to 2 separate levels and come with a unique padding for prime comfort throughout the day. The built in lumbar support and tilt lock mechanisms can adjust the back of the chair independently of the seat allowing you to lock in your reclined position. The designer mesh is created to provide comfort for those who work over 8 hours a day as well as providing a feeling of sitting on air. This model is a limited edition and has earned respect throughout the ergonomic office chair world. Really awesome chair and the headrest is an added bonus. Really glad I came in and saw the professionals at Beverly Hills Chairs. They were so patient and helpful! While writing novels in my New York brownstone home office, it can get pretty chilly. After moving to California, I noticed that the unpredictable weather could easily heat up my office causing me to sweat profusely. I had a colleague of mine suggest that I switch from a leather chair to a mesh chair in order to maximize air-flow and my work productivity. I was hesitant since I prefer leather chairs, but mesh chairs are all the rage in office furniture trends. Leather chairs, however, are nicer and seem a lot more sturdier. Regardless, I heeded his advice and searched for a good, cheap mesh chair. I stumbled upon Beverly Hills Chairs where I found the Allure FlexBody 2. Once I started sitting in the chair regularly, I immediately noticed a difference in my body temperature. I was cooler, my posture improved as a result of the chair’s adjustable seat and lumbar, and the modern design and style of the chair made the rest of my office look great! This chair is a must-have. My husband and I went to the showroom with the intentions of buying a fully loaded Herman Miller Aeron, but we both actually found the Allure 2 to be a bit more comfortable. I really like the headrest and overall it is just a great fit. My back feels better today already. Sooo comfortable. I have been looking for a mesh taskchair that is not a Herman Miller or Humanscale so that I do not have to break the bank. 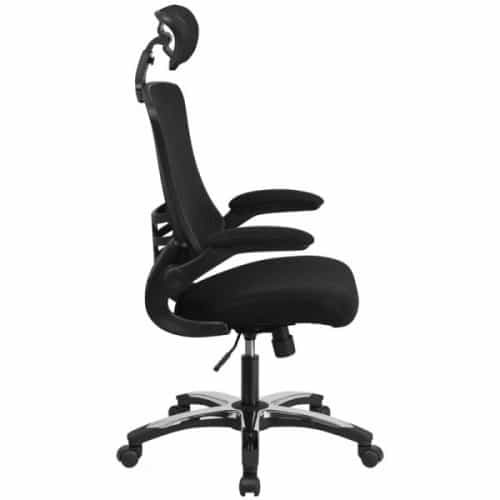 This is the same price as the nicer chairs at office depot but more comfortable and ergonomic. The Allure Mesh Side Chair is a great companion to any office or home with its elegant design and ch.. The ReFlex Mesh Chair Fully Loaded is a mid-back design with transparent black mesh seat and back. T..